DOES MY DOG NEED A ORTHOPEDIC DOG BED? 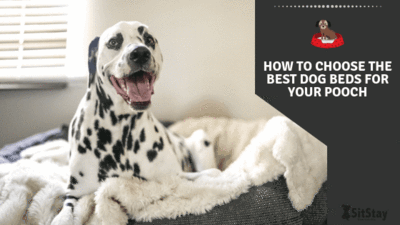 When selecting a dog bed for your best buddy, there are a lot of types of beds to consider. 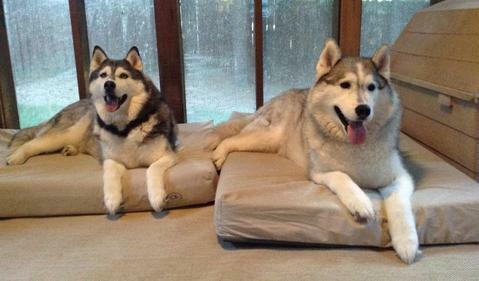 It will not take long to discover there are a lot of orthopedic dog beds on the market. You might think your dog doesn’t need one of those beds. The reason is because a common misconception that memory foam dog beds are only for old dogs. The facts are very clear that all dogs can benefit from a memory foam dog bed and not just the older ones. Are there some serious benefits for older dogs? Absolutely! If you purchase a real memory foam dog bed that is made properly it can do a lot for your older animal. 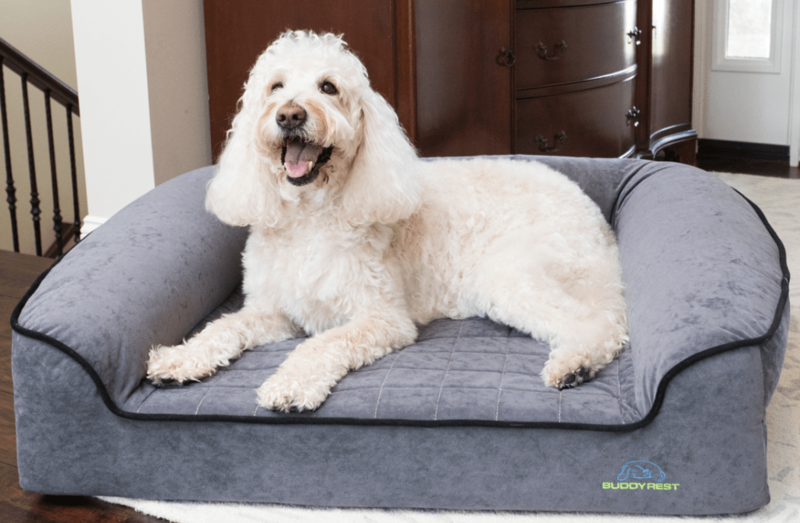 A good quality memory foam “orthopedic” bed can relieve achy joints, improve mobility and provide some much-needed comfort for a pain riddled pup. But does this mean that memory foam orthopedic dog beds are for old dogs? Absolutely not. If you go bed shopping for yourself this day and age, you will find memory foam is everywhere. When you walk in a mattress store they do not have a section for memory foam designed for older people. Memory foam is everywhere and is for everyone! It is in practically every mattress out there these days. Even the older style spring mattresses have layers of memory foam in the top layers. Why is this? Because quality memory foam is the best support possible. It is incredibly resilient and durable. Most importantly it is a pressure relieving material. 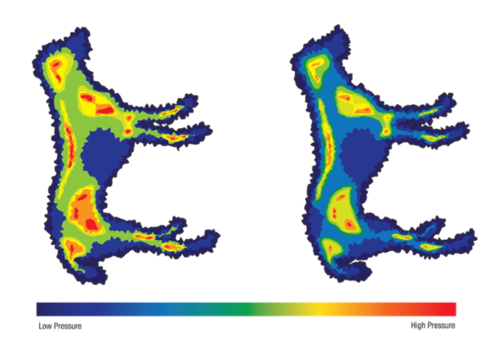 Visco-elastic memory foam is designed to conform to your animal’s body and fill in all the gaps. This ensures that pressure points are distributed across the surface and the body is supported all the way across. For a bed to redistribute the weight it needs to be composed of two types of foam. The top needs to be a viscoelastic (4lb memory foam) and that needs to be bonded to a base layer of HR foam. This allows the dog to sink into the proper amount and no more. If beds where just a block of memory foam, the dog would simply sink down to the floor. 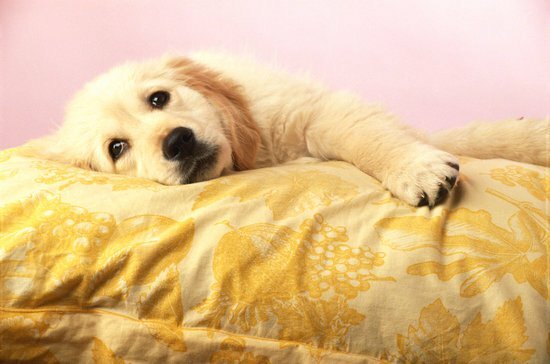 Did you know according to the APPA that 9 out of 10 dogs will suffer from arthritis and joint pain? 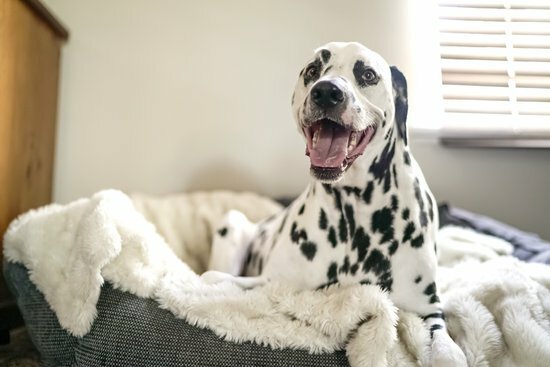 If your dog is having issues, they can really benefit from having that pressure is taken off their front and hind legs, as well as remove any pain with a dog bed for hip dysplasia. That same science of support can help younger dogs too! How? Well, read on! So we already know if your dog is younger and not showing signs of problems, that it is most likely only a matter of time. The American Pet Product Association goes into further detail that if your dog lives to be 10 years or older, it is almost a certainty that they will have these afflictions. By putting your dog on a memory foam support system early in life, it can really help alleviate some of the issues that might occur later. Now joint problems are often inevitable and even genetic. But did you know that working dogs and dogs that are into sports (like agility training and fly ball) show dramatic differences in their joints as they get older? This proves that wear and tear on the joints do add up. It would also make sense to infer that things like the impact of jumping up and down from things, as well as sleeping on hard surfaces can be extremely detrimental to overall health. This may also mean if you have a working dog that has strenuous duties or even if you participate in dog type sports, a proactive measure to get a memory foam dog bed is even more important. Even more so when you realize the restorative benefits of these types of beds. One major benefit not often discussed is improved blood flow. If you remove the pressure points from the body, It allows better blood flow for those areas. Especially if you have a sporting dog that is constantly working those muscles. By allowing more nutrient-rich blood flow into those areas, it can heal and restore more effectively. This will allow a faster recovery time as well as neutralize some of the long terms effects that the sport has on your dog’s body. ARE ALL ORTHOPEDIC BEDS THE SAME? No! The answer might sound scary….. But most “orthopedic dog beds” are not even orthopedic. Most beds use cheap recycled foam chips or cheap convoluted egg crate foam. There is nothing supportive or pressure relieving about these materials and you should stay clear. Several popular beds on the internet that claim to be orthopedic are often just thick chunks of foam for dogs to lay on. If it is not quality memory foam, it is not conforming. If it is not conforming, it is not pressured relieving, if it is not pressured relieving, it is not an orthopedic bed! Stay away from claims of “orthopedic foam” and other companies that claim to sell orthopedic beds that do not use memory foam and base foam. Also, stay away from any egg crate foam or “cot” like beds. As any Boy Scout can tell you there is nothing supportive or comfortable about a cot. 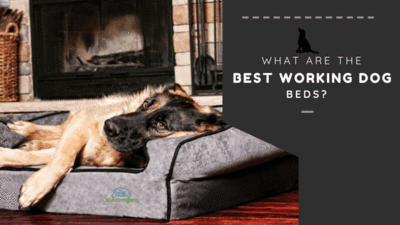 WHAT IS THE BEST DOG BED? 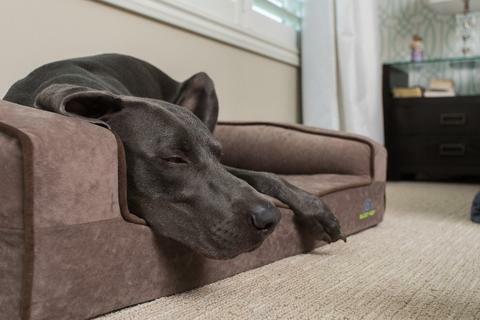 After a ton of research, we strongly recommend BuddyRest dog beds. Their beds are made in the USA, veterinarian recommended by a ton of DVMs and have been around for quite some time. They really innovated the first memory foam dog beds in the industry. They are the only company out there that “calibrates” the support system with tactile pressure mapping. This ensures the beds are going to work as advertised. Everyone else out there that is not tactile pressure mapping is either misleading you or guessing. These beds are the real deal. They also feature state of the art fabrics, the quality is tremendous, but the science sets it apart. Be prepared to spend more on these beds though. They are not cheap! They are, however, designed to last the lifetime of your dog. Regardless of what type of orthopedic dog bed you purchase for your dog, you now know your dog should have one. Memory foam is not just for old dogs, it is for all dogs of all shapes and sizes. 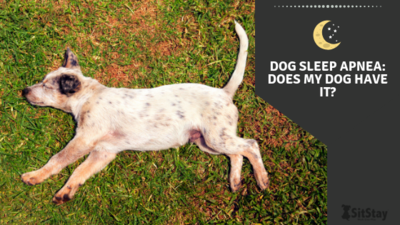 If you have a breed prone to hip dysplasia, or you have a working dog it should absolutely be a priority to get your dog on a pressure-free sleep system. Your dog might not need that now, but it can be one of the best things you ever do for the long term health of our pup. Memory foam was invented by NASA during the Apollo rocket missions. It was originally invented for use in chairs and to help increase the survivability of astronauts in a crash. It was invented by NASA, however, it was never used in space.